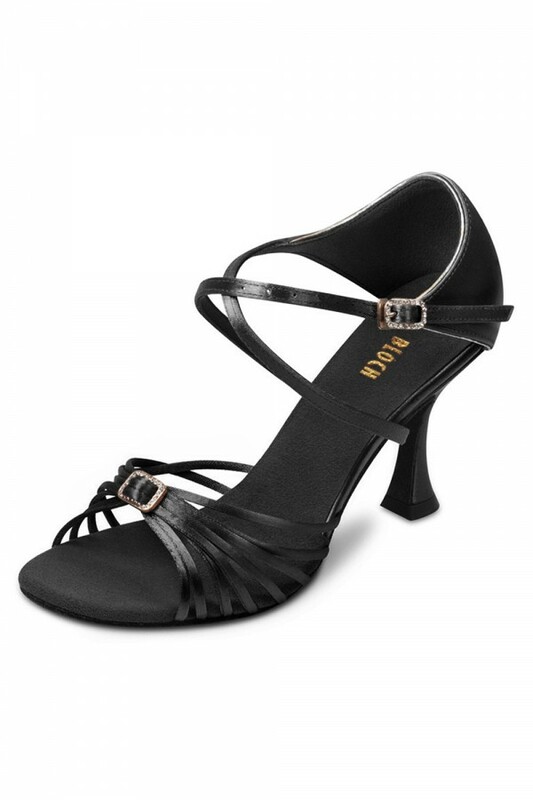 Gold trimmed skinny strap sandal with fastening diamante detail has a 2.75" flared heel. Not what you are looking for? View our full range of Latin & Ballroom Dance Shoes. All orders are sent via DHL. A signature will be required upon receipt of your order. If there is no-one available to accept the package a calling card will be left behind for you so you can re-arrange delivery. We are currently unable to deliver on weekends. All our products are in Manufacturer sizes, please use the table below to help you choose your size. To help you, we have added the UK, US and European shoe size equivalent to the manufacturer size. PLEASE NOTE: On the UK site, when selecting your shoe size to order, you are selecting the UK size. On the US site, when selecting your shoe size to order, you are selecting the Manufacturer size.